Thanks for your interest in improving customer experience. 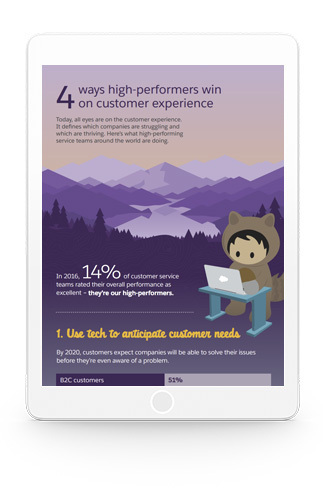 Download the infographic below to find out about the 4 key things high performing service teams are doing to win on Customer Experience. PLUS, you will receive a BONUS report - “Second Annual State of Service” - which examines how 2600 service teams globally are responding to heightened customer demands.